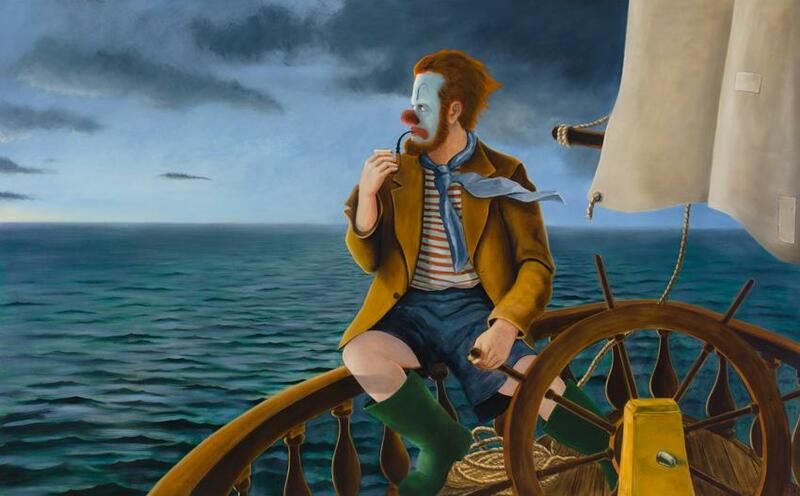 Sean Landers commemorates his 50th ever solo show in grand style as he exhibits for the first time ever at Friedrich Petzel Gallery. 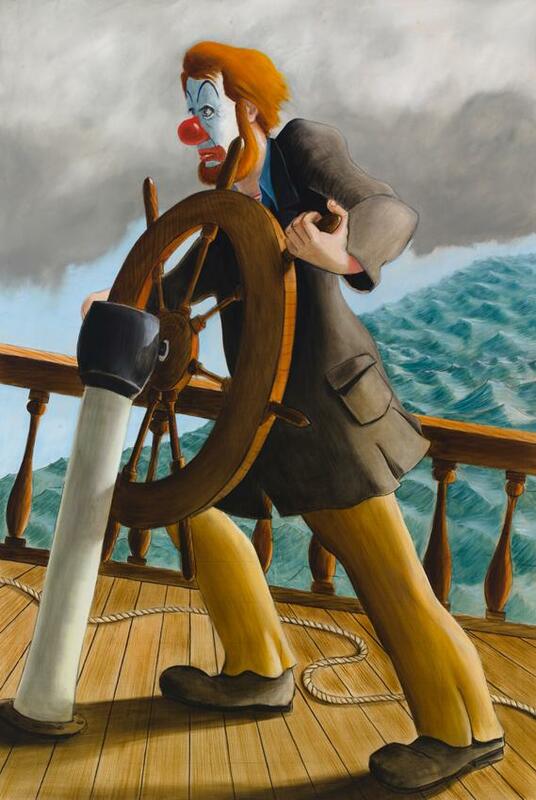 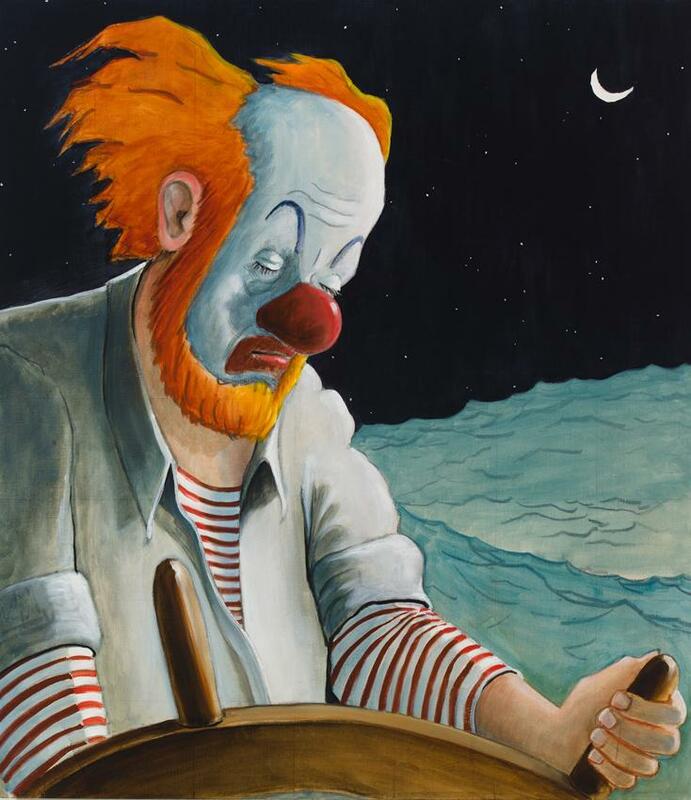 Around the World Alone features a signature character in the artist’s work as he continues on his lifelong journey on the seas. 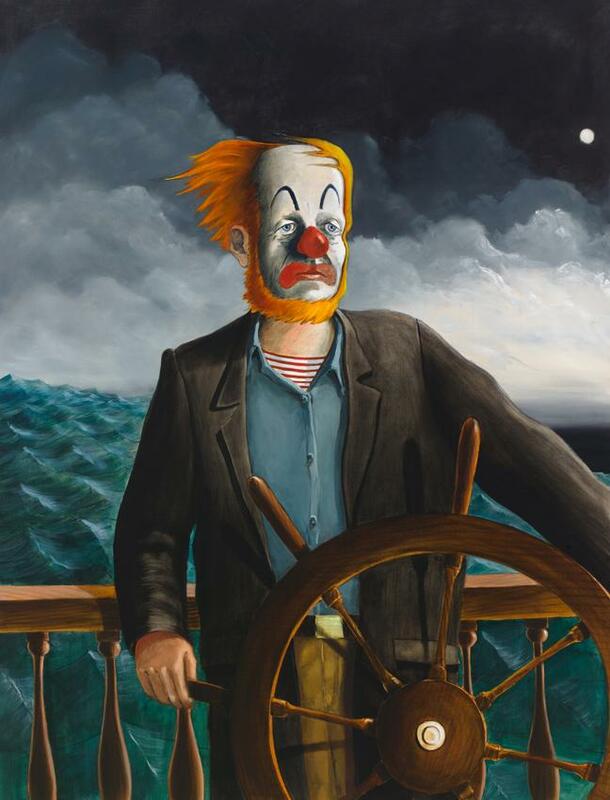 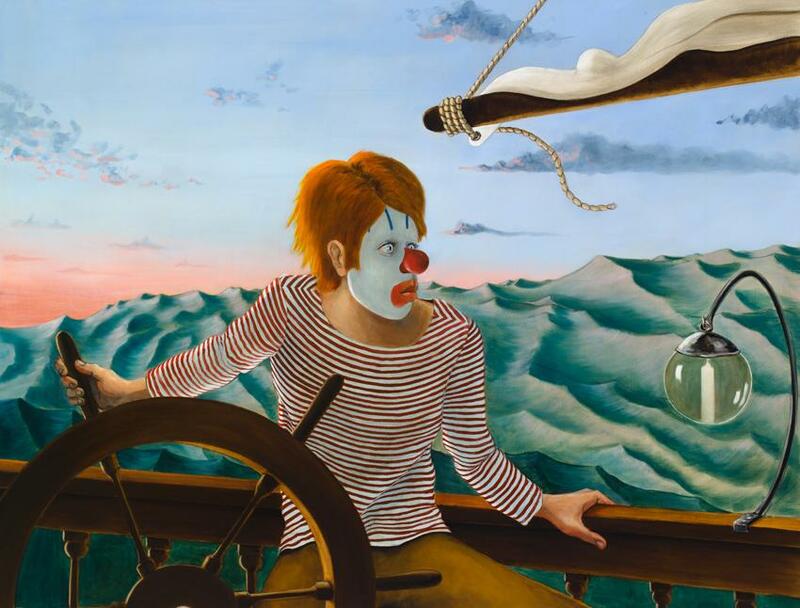 Having always reflected himself in his art, Landers continues the practice with the vulnerable clown risking navigating choppy waters under gray moody skies on his own. 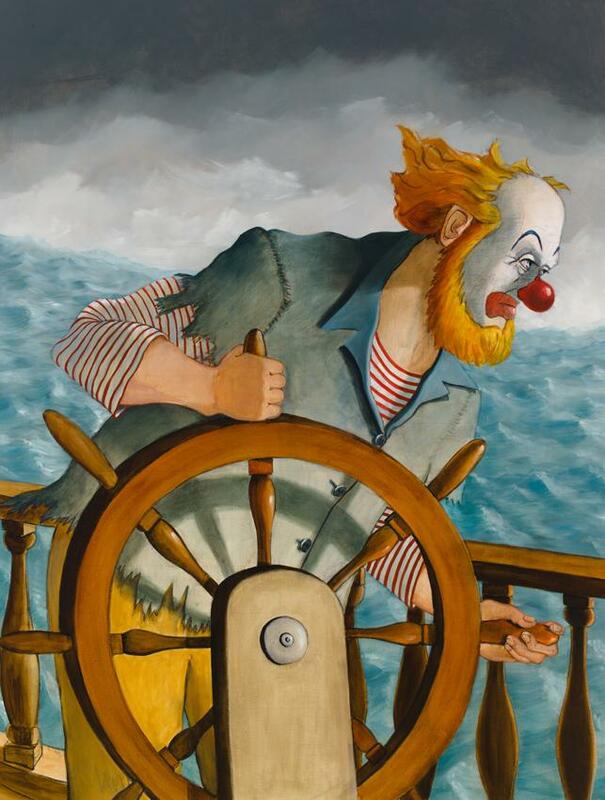 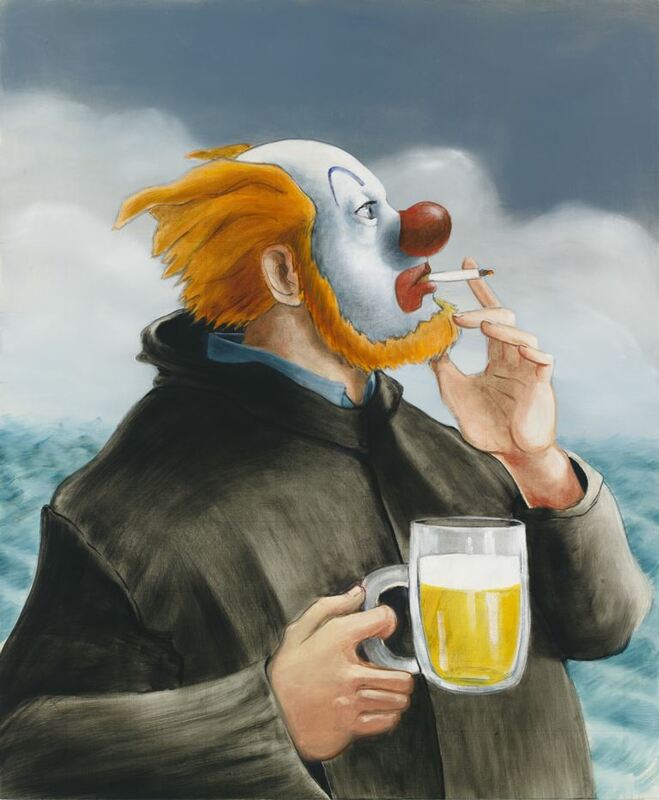 As the clown grows and matures, so too does his confidence and ability to master the rough seas. 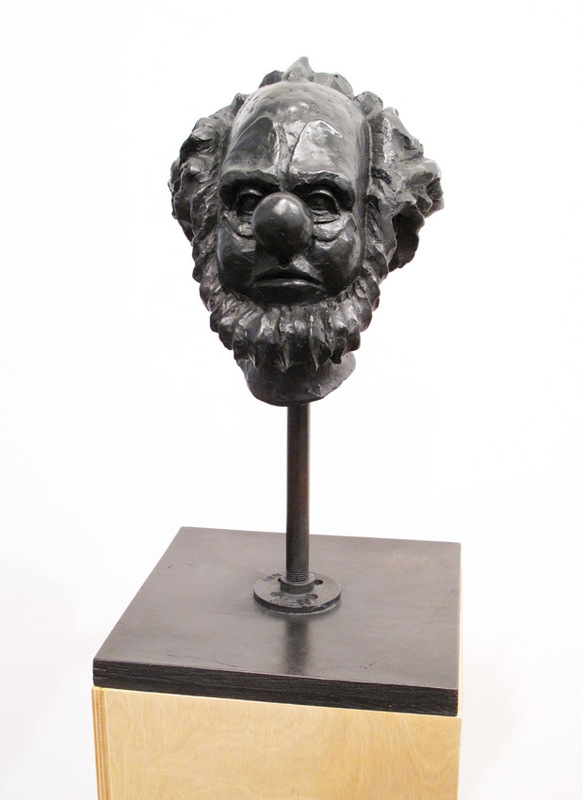 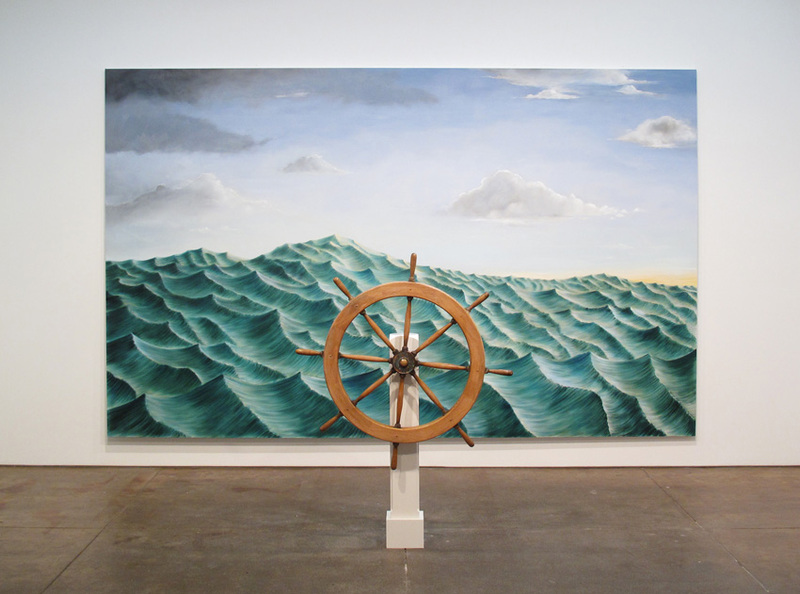 Categories: Contemporary Art, Showing, Shows & Events. 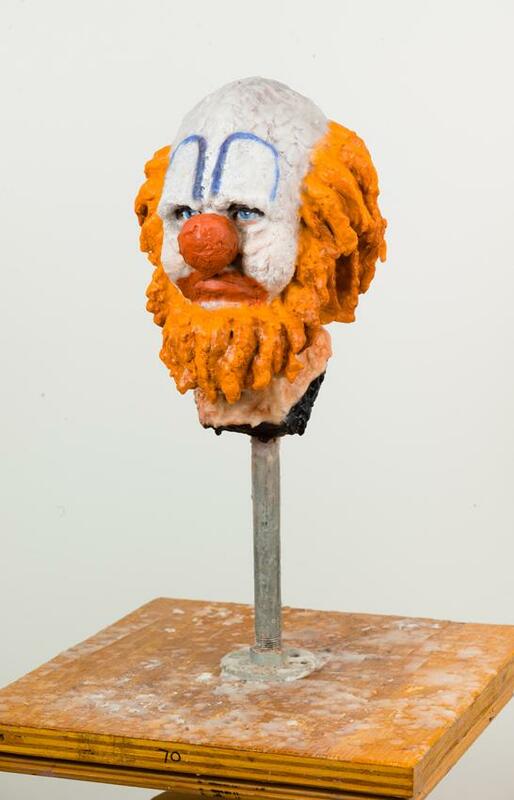 Tags: Contemporary Art, Friedrich Petzel, New York City, Sean Landers.